In 1969, I was in Barcelona for one day. I was there to catch the overnight boat to Formentera in the Balearic Islands. Formentera was one of the major international hippie destinations in 1969. The Spanish Government was not happy about the throngs of long-haired hippies sleeping on the beaches, smoking dope, and otherwise offending the locals. I wasn’t sleeping on the beaches, but I was hanging around with some crazy people and I was lucky I didn’t wind up in one of Franco’s jails. All I remember of Barcelona in 1969 –in addition to the omnipresent men in uniform-- was the beauty of the waterfront and the energy of the crowds on Barcelona’s main drag, Las Ramblas. I remember Barcelona then as a bit down at the heels, its best years apparently behind it. What a difference 43 years has made! 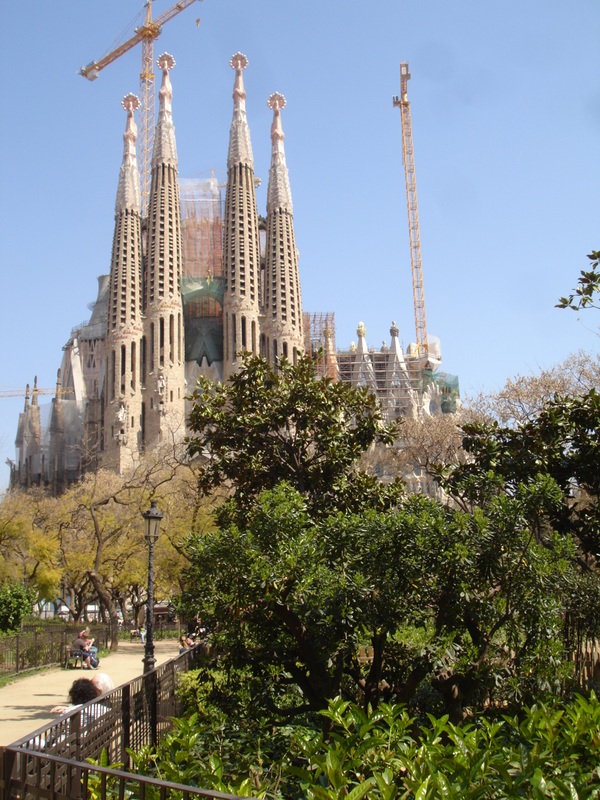 Barcelona is now a rich, prosperous city—its architectural heritage largely restored. And what was most amazing was how spotlessly clean the city is—and not just the major tourists centers. We took one of those city bus tours which covered most of the city; there was no litter anywhere (unusual for a southern European City) and hardly any graffiti—kind of like a Latin Switzerland. Certainly one of the best things about Barcelona is the extent to which the Mediterranean is integrated with the city—miles of sandy beach, with easy access, no beach fees. The beach was a 45 minute walk from our hotel in the medieval old town. During Spain’s one day general strike when public transit was virtually shut down, we walked to the beach and spent a leisurely afternoon sipping sangria at a beachfront café. Hotel Neri in the medieval old town was probably the best (and unfortunately one of the most expensive) we’ve ever stayed in—but worth every penny. I love the medieval old towns of European cities and when I read about the Barrio Gotico(Barcelona’s medieval quarter), I was determined to stay here. Rick does most of the hotel research and Hotel Neri was one of his best finds ever. It also had a wonderful restaurant-- unfortunately very expensive. We only intended to have dinner there one night, but during the general strike because of lack of transportation and the street disturbances, it made sense to stick to the hotel restaurant, so we had two wonderful dinners at the restaurant at the Hotel Neri. During the Spanish Civil War, Barcelona was a Loyalist stronghold and one of the last hold-outs against Franco. The citizens of Barcelona were upholding their left wing traditions as Barcelona was the site of the most serious disturbances during the general strike. Spanish workers have protections U.S. workers can only dream of and the new right of center government, under pressure from the European Union, is trying to take them away. It looks like strikes (and learning how to adapt to them) will be more and more a part of European travel.